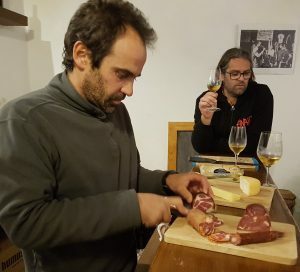 I was invited by winemaker Pedro Marques to taste his wines, and also some from his friend António Marques da Cruz, at restaurant Areeiro 3 in Lisboa. OK, this was a while ago, but this blog is new, and I want to include some events from the last months of 2014. Areeiro 3 is managed by Pedro’s brother and takes its name from the street adress, and you see it once coming up from the underground of metro station Areeiro. 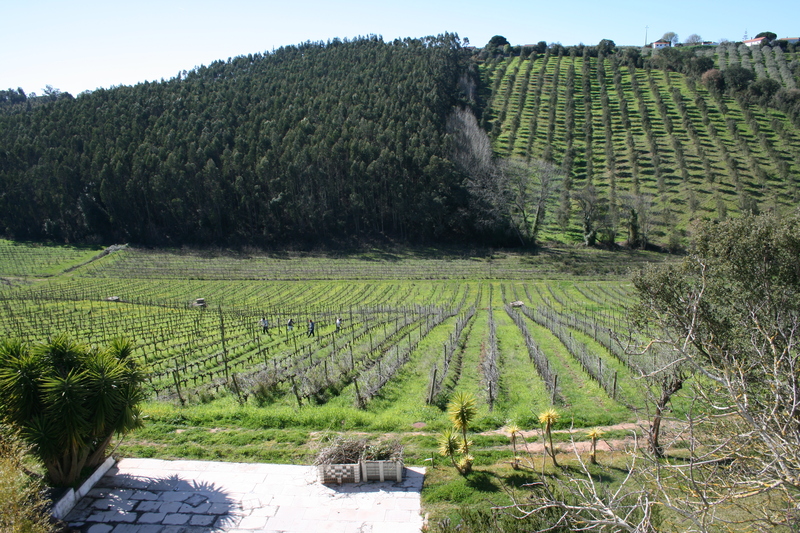 Both wineries, Vale da Capucha and Quinta da Serradinha respectively, is located in the north of the Lisboa region, in Carvalhal (Torres Vedras) and in the Leiria area. 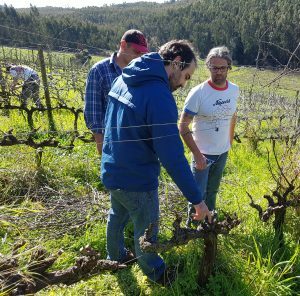 We tasted some really nice wines from Portuguese white grapes like arinto, alvarinho, antão vaz, fernão pires (and some French too, like viognier) and red touriga nacional, aragonês, castelão, and not to forget baga. Among the wines you should try once in Portugal are the white Capucha 2011 from alvarinho on limestone ground, a salty, mineral wine, still somewhat young and closed, and Serradinha Rosé 2013, red-orange coloured wine raised in 800 liter amphoras, with peach, rhubarb, strawberry, and some milky notes from malolactic fermentation. Another interesting wine was his red Quinta da Serradinha 1999, based on baga, and still full of life. I was also invited to the Vinho ao Vivo, a terroir focused fair showing predominantly organic wines. I didn’t know about it then, but it proved to be a really charming event to visit again. It’s organized by wine bar and restaurant Os Goliardos down by the Tejo river next to the Discovery monument near Belém, and it includes local artisan food and live jazz. Who could ask for more, really? There we met several old friends, all with new wines to discover, and some other nice people. 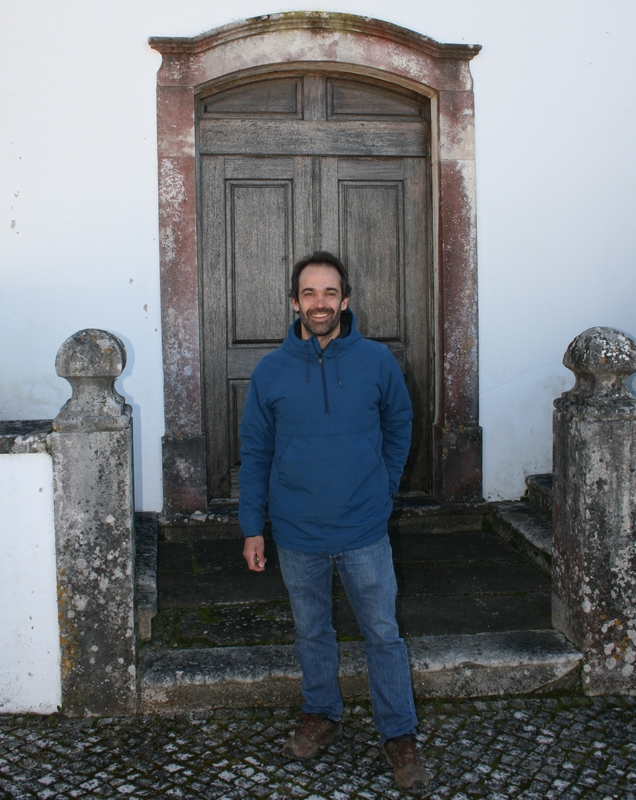 André Gomes Pereira who runs Quinta do Montalto, in Ourém, was there with his well-made wines. I knew his reds and rosés, but this time he also brought a white wine from fernão pires, a really interesting golden/orange coloured sparkling wine from 2005, that had spent 8 years on lees, and a “medieval” mix of red and white wine. Vasco Croft of Aphros Wines was there with his marvellous red and white “green wines”. His Aphros Loureiro 2013 is a different interpretation of the grape of that name, with a deep aroma, still with a steely acidity, but wrapped in a full, fruity taste. And who says a vinho verde can’t age? Well, the Aphros Vinhão 2009 isn’t that old, but many would not believe that a five year old wine from that region should be so full of energy as this one. And who else was there, if not the one and only Mário Sérgio Alves Nuno of Quinta das Bágeiras! This time equipped with his new Pai Abel entry level wine, together with the delicious reservas and garrafeiras, premium examples of the traditional style baga from outside Sangalhos, Bairrada. The oldest one this time was a Garrafeira 1990, a sublime pure baga wine, with red fruit aromas, the usual peppery notes, hints of smoke and a bit of raisin. He also brought an outstanding white Garrafeira 2012. 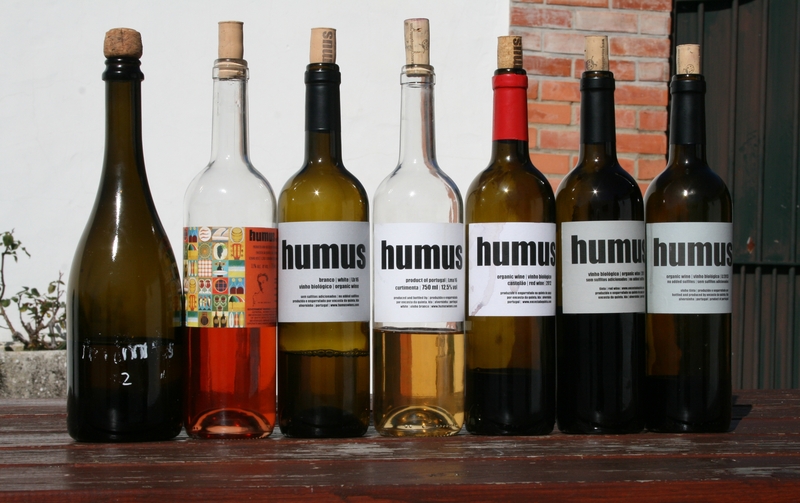 These are all wines made in the deepest respect and understanding for their tradition. One can hardly claim they are modern, but they surely are complete. Hey: Mário Sérgio is here! But he was not the only one from Bairrada. Campolargo was there, I have heard, though I didn’t see him (so little time…). Up and coming organic producer Vadio I saw. 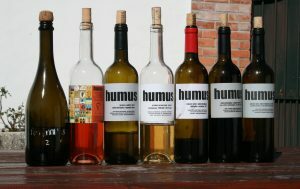 They brought some really nice wines, also based on the baga grape, but with a bit more modern touch. 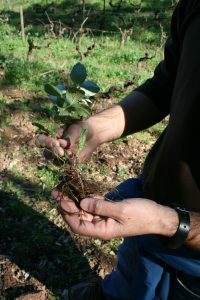 They use “wild” yeasts to start the fermentation, but some cultivated yeasts later in the process, some French oak (never exaggerated), resulting in robust, but not aggressive, wines. The Grande Vadio 2011 was a wine for long ageing, a lot of tannins and super acidity, and a very supple fruit to go with it. They also brought superb citric, flowery whites from old vine cerceal, along with arinto (and also a bical version). Ataíde Semedo, known for Quinta da Dôna, was there. He had now brought a pure baga, and a 50/50 baga/touriga. 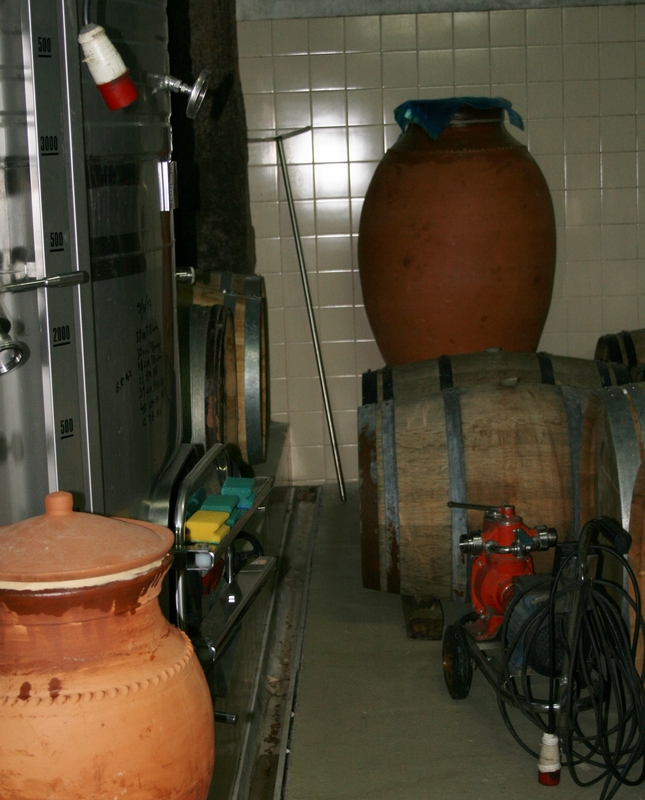 Tired of oak, he sold all his barrels some years ago, so these wines are very pure, some maybe a tough too much “worked”. I particularly liked his Colheita 2013, a fine baga on the light and elegant side. Quinta da Pellada of Dão was represented, so was Infantado (Douro), a couple of producers from Colares and many more. I tasted some wonderful whites from Muxagat (Douro), such as a 90% rabigato, and a barrel-fermented 100% rabigato called Os Xistos Altos 2011. I never made it to the fortified wines like Barbeito of Madeira (sorry, Ricardo, next time!). There were also visits from abroad. 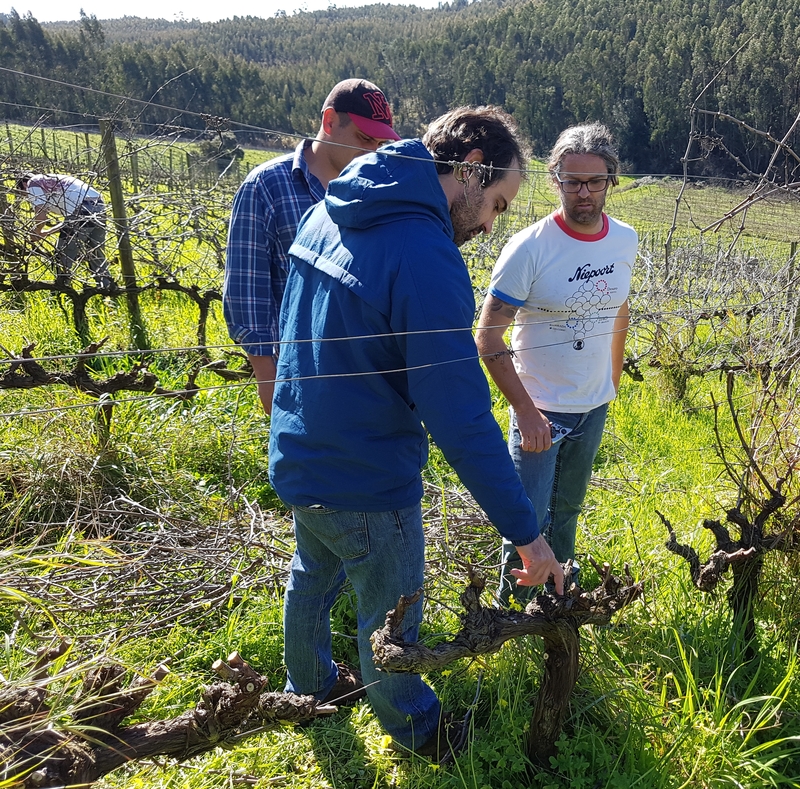 Juan González of As Furnias had travelled over the border from Rías Baixas’ subzone Condado do Tea with his interesting low-sulphured, low-barriqued natural wines from several local grapes. Prominent guests from Italy, such as piemontese Luca Roagna and Giuseppe Rinaldi, were also there. I didn’t see them, but their wines surely were present. So were the wines from French domaines Gonon (Rhône) and Maréchal (Burgundy). Tune in next Friday, when our Wine of the Week will be one that we tasted during this fair. The sun was down, the moon was up, the discoveries lay behind us, time to find a hotel bed… And the band played on!